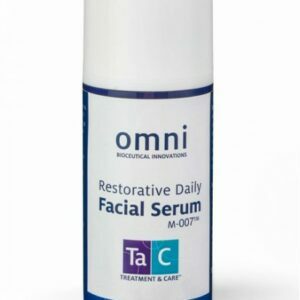 Backed by an extraordinary collaboration of scientists, forward-thinking physicians and labs, Omni Bioceutical Innovations produces superior quality growth factors, peptides, and other proteins for use in skin and hair products. 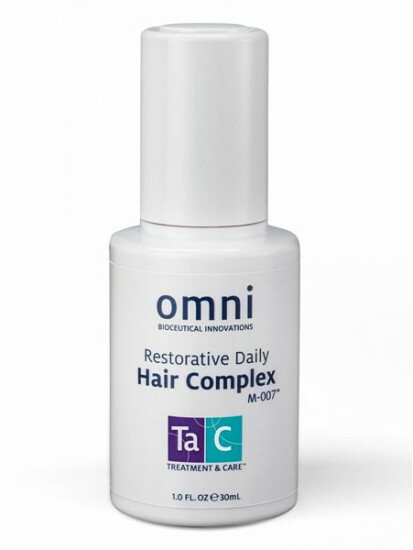 TaC Hair Restorative Complex with M-007™ is a groundbreaking product that was formulated to help improve scalp vitality after hair restoration or hair growth treatments. Now formulated with M-007™, a patent pending delivery molecule, this new technology binds and transports human growth factor proteins below the surface of the skin so they become more bio-available. 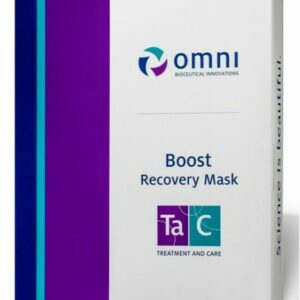 This product can be used as part of your standard daily treatment regimen and/or as part of a procedure recovery protocol. 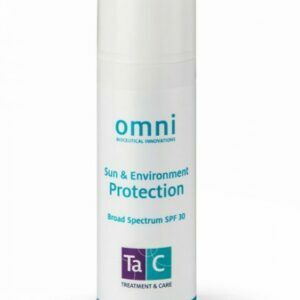 How to Use: Apply small amounts of serum to the areas of the scalp you wish to treat. Gently massage the areas of application for at least 10 seconds (section hair if necessary). Do not wash hair for a minimum of eight hours, allowing the serum to remain on the scalp. Repeat steps 1 and 2 twice a day. Store in a dark, cool place. Do not over-tighten cap.